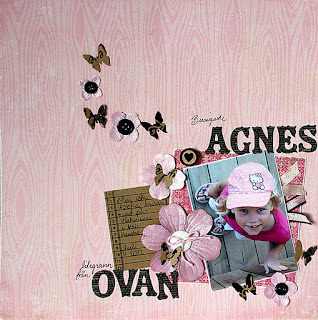 This layout is also for a challenge at Scrapptorget. 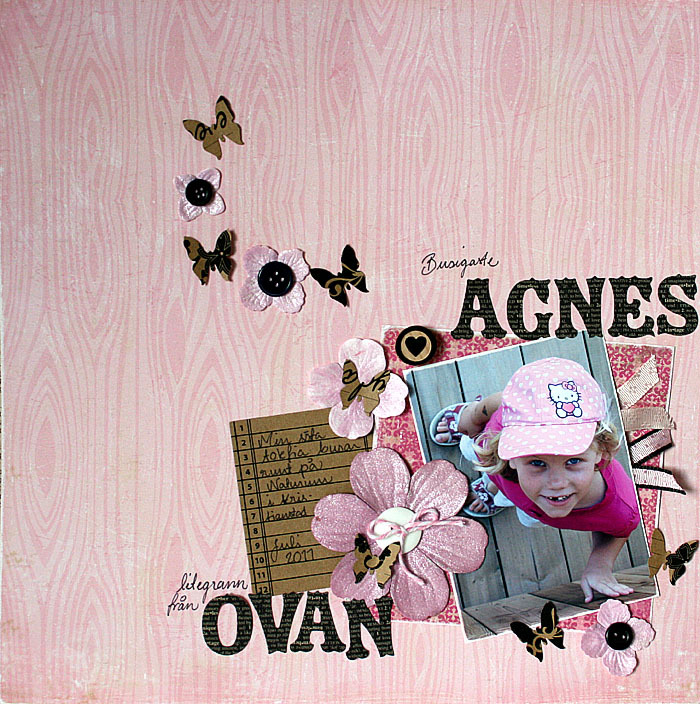 It's a challenge to use a pink ribbon on your layout, to acknowledge breast cancer. I felt I had to participate in this challenge, because I think everyone has been affected by this disease in any way, either lost someone from it, or know someone who has. Myself, I have a close family member who is a breast cancer survivor, and of course, we all are very grateful for that. Many people aren't that lucky. So, that's it for today. I'm heading back to do some more painting in the veranda. I'm getting close to seing the finished result now, and it will be so light and airy! It will be the perfect background for the Christmas tree, because that's where I plan to put it. Very nice indeed! Love your background paper!